With cellular phone penetration exceeding 50%, the Pakistan mobile market is continuing to experience rapid subscriber growth with thousands of customers signing up every month. The growth in subscriber rate has consequently led way to triple digit growth in messaging traffic over last year, according to Acision, a major international player in the mobile messaging business. A total of 6.37 billion text messages were sent through Acision messaging systems across Asia Pacific over the 2008/2009 Christmas and New Year period. The top five countries with the highest SMS traffic processed over the festive season were the Philippines, again leading the ranking with 2.36 billion messages, closely followed by Indonesia (1.193 billion), Malaysia (1.075 billion) and Pakistan (763 million), according to the PC World. While Pakistan ranks fourth in the total number of text messages sent during Christmas-New Year season of 2008-2009, the country tops the list with 253% annual growth in traffic volume, followed by Philippines (65 percent), Australia (57 percent), Indonesia (27 percent) and Malaysia (13 percent). 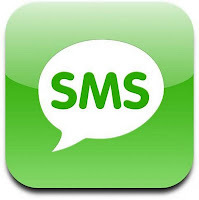 The dramatic SMS growth is good news for mobile operators in Pakistan. Most operators around the world continue to rely on text messaging as a critical source of data revenues. A recent report published by Pyramid Research says that mobile data will account for 29 percent of the global mobile service revenue in 2012, up from 19 percent in 2007. Clearly, the mobile data opportunity is soaring: the 2007 mobile data revenue was more than double what it was in 2004, and Pyramid Research expects it to double again to $300 billion by 2012. SMS will continue to generate the highest share of global mobile data revenue through 2012 and will make a larger impact in emerging markets. However, SMS revenue as a percentage of mobile data revenue will decline throughout the forecast period, as other data services - made possible by the rollout of next generation networks - gain further traction. In addition to continuing growth in traditional cellular messaging and infrastructure, Pakistan is going through a major roll-out of WiMax by several mobile operators. According to Fierce Broadband Wireless, the largest mobile WiMAX deployments reported during first-quarter 2008 were from Korea Telecom with nearly 150,000 subscribers and Wateen Telecom (Pakistan) with more than 10,000 subscribers at the end of that quarter. Wateen is today the largest mobile WiMAX Motorola deployment. In June 2006, Wateen placed an order for 198,000 CPEs from Motorola. Motorola has shipped 60,000 CPEs so far. Wateen has told Fierce that they had 25,000 subscribers by the end of June 2008. The operator expects to complete the order of 198,000 CPEs by this year. It is expected that the gap between mobile "16e" deployments and "16d" will narrow once trials of 16e equipment are complete and certified equipment becomes widely available. In emerging markets, 3G and WiMAX will provide Internet connectivity to many consumers for the first time, partly due to a lack of viable fixed alternatives. Asia-Pacific will generate the highest mobile data revenue throughout the forecast period till 2012, and Africa and the Middle East will grow the fastest, according to Pyramid. Looks like someone doesn't want to acknowledge the elephant in the room. There are enough people like you in the world who choose to talk constantly about nothing but the "elephant in the room". My voice, added to that loud talk of doom and gloom, will just be lost in the growing noise that serves no purpose other than to demoralize the good people of Pakistan who choose to go about doing their best to keep the country moving forward, in spite of all the challenges. I choose to talk about many other animals in addition to the big ones. Some of the smaller animals are a lot more attractive and noteworthy, and show what else is happening in Pakistan that deserves our attention. There are millions of people in Pakistan, including professionals and entrepreneurs, who are participating in the economy and benefiting from it. A recent and rather gloomy Gallup poll found that fully 11% of the people in Pakistan say they are thriving. That is about 16m people, more than the total population of many countries of the world. Your answer to anon is spot on. You are doing an amazing job highlighting the goods of the country. I salute you for that. You already have plenty of your own Kool-Aid. It seems many of you were on the Kool-Aid drinking binge that was rudely interrupted by Slumdog, a movie was greeted by howls of protests by many people and most of the media in India. In fact, Pakistanis (including me) are far more self-critical than the the Indians and your western allies promoting the myth of "Peaceful, Stable and Prosperous" image of India in the world. Hmmm ... thought you were American - voted Democrat all your life and all that. ... are far more self-critical than the the Indians and your western allies promoting the myth of "Peaceful, Stable and Prosperous" image of India in the world. Here's a little secret: Pakistanis are not paranoid; everyone really is out to get you. Might as well be self-critical before others get there first no? As for the Indian "myth": must be some pretty strong Kool-Aid for hundreds of millions of Indians and "western allies" to get high on. Slumdog - proud of it - 8 Oscars - 3 to Indians - no howl of protest from here. The content is one-dimensional and is no secret to anyone who's spent any time in India. If it's a revelation to you, it demonstrates your lack of "facts on the ground". As many other hyphenated Americans, I am a Pakistani-American. No conflict there, as far as my own sense of identity is concerned. As to the Indian Kool-Aid, it is the favorite drink of the urban middle class that has reaped the benefit of India's growth as well as the western media who only know India through this urban middle class. They either don't know or deliberately don't cover the multiple insurgencies in half the states of India. They also don't pay much attention to the 450m desperately poor and hungry Indians who are only counted by the World Hunger Index and find little coverage elsewhere. It seems you are disconnected from "facts on the ground", not me. I have been to India and ventured out of the tourist traps laid out to hide the real India. I do applaud you for taking pride in Slumdog, unlike most of your fellow urban Indians, even if you changed your mind after the Oscars. Riaz, I can understand you talking like this if you were sitting in Karachi or Lahore, where your news would be understandably anti-india, but sitting in the US? Do you really believe that slumdog was greeted by 'howls of protest' in India? Is this a lie you keep telling yourself because the oscars were shared by three muslims and a sikh, in a 'Hindu' India? Can the Indian economic miracle really be an illusion if the economy i still growing at 5%, and while the well regulated banking sector has withstood the meltdown? We are not the ones who went cap in hand to the IMF. Question: Have you ever visited India? The real one, not the one you read about on your jihadi websites? We indians know more about the anti india insurgencies than you ever will. If you like, I could suggest some excellent critical Indian authors (and i dont mean you favourite Arundhati), which could significantly enhance your understanding of these issues. You maybe Pakistani-American with an accent to go with the latter bit, but you write like you are sitting in a cave in Tora Bora. You question, "Have you ever visited India? The real one, not the one you read about on your jihadi websites?" Yes, my views are based on personal observations during my visits to India, and, as a critical consumer of the news and entertainment media, I believe I am well informed. Apparently, you have missed the harsh criticism of Danny Boyle and Slumdog in India that was widely reported, even Amitabh Bachan chimed in with his displeasure on his blog. Please read my posts about it. Let me make sure you clearly understand this fact: I am no jihadi and I abhor religious bigots of all kind, whether they are turban-wearing Muslim Taliban or saffron-clad Hindu Taliban. Please get yourself more familiar with my views often expressed in my posts on this subjects. Pakistani mobile users sent on average 175 SMS messages per month, or around 5.8 messages per day in 2011, Pro Pakistani writes citing a report from the Pakistan Telecommunication Authority. A total of 237.58 billion text messages were exchanged in 2011, up from 176 billion in 2010. Mobile operator Telenor generated the most person-to-person SMS traffic, contributing 26.5 percent of total traffic, followed by Mobilink with 26.4 percent, Ufone with 24.4 percent, Zong with 11.8 percent of SMS traffic, and Warid with 10.7 percent. Meanwhile Pakistani mobile users also sent 100.8 million MMS messages in 2011.